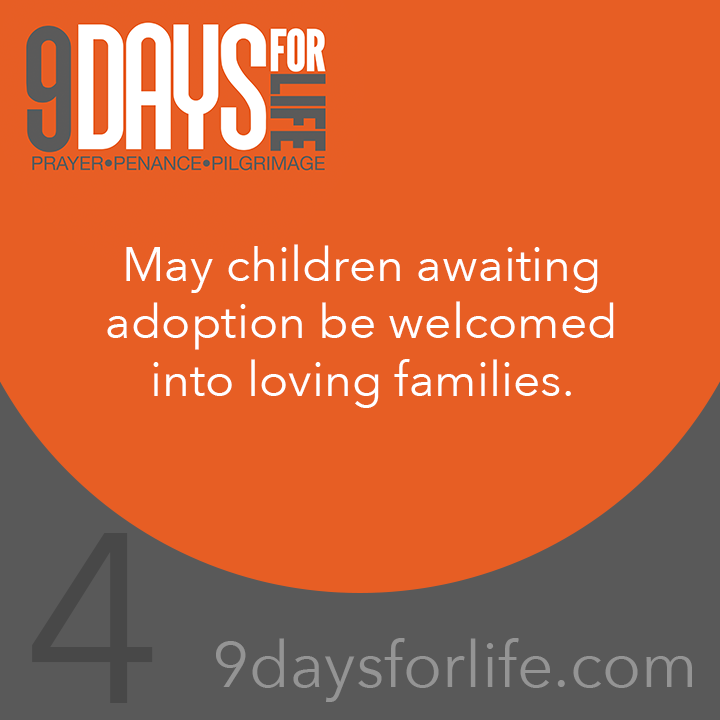 Intercession: May children awaiting adoption be welcomed into loving families. Reflection: Let us reflect on today’s reading from Hebrews (6:10-20)*, which reminds us to “hold fast to the hope that lies before us. This we have as an anchor of the soul, sure and firm” (Heb 6:18-19)*. We pray that children awaiting adoption would be filled with the hope of Christ and “the peace of God that surpasses all understanding” (Phil 4:7)*. We also remember that, we too, can cling fast to this anchor of hope, for we have received “a spirit of adoption, through which we cry, ‘Abba, Father!’” (Rom 8:15)*. May our loving Father envelop each of us in His love today and open our eyes in faith, that we may see and rejoice in it. Today, ignore your sweet tooth. Make healthy eating choices. Make a “quiet hour” today, turning off all electronic devices (cell phone, iPod, computer, television, radio, video game system), and retreat to your room. Spend some time in prayer or prayerful reading.